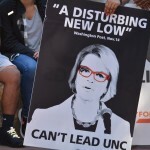 Hundreds of students and faculty members at UNC gathered on Tuesday to protest the newly-minted UNC System President, Margaret Spellings. 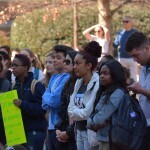 It didn’t take long for the chanting to start, just after 11 o’clock on Tuesday morning as the crowd grew in front of Wilson Library on the UNC campus. 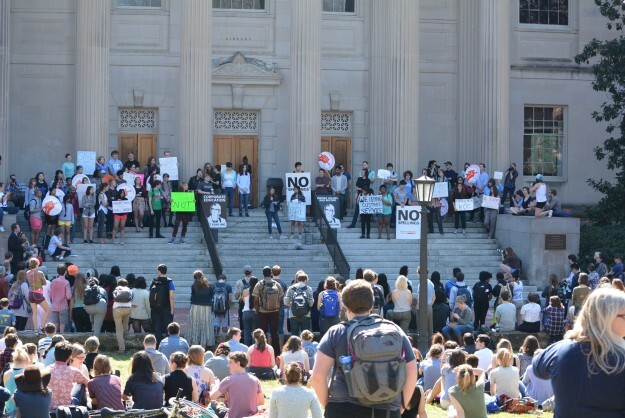 The protest was part of a coordinated walkout at six of the 17 UNC System campuses. 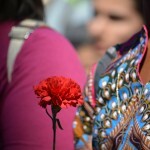 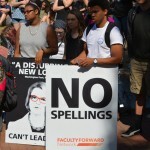 The protest was held on Tuesday to align with the first day that Spellings was officially at the helm as President. 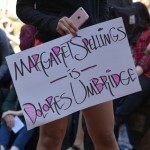 UNC Protest of Margaret Spellings. 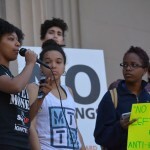 Photo via Blake Hodge. 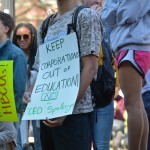 Protesters targeted Spellings’ history, including actions taken while she served as the U.S. Secretary of Education under George W. Bush and her involvement with for-profit colleges and a student loan collection agency. 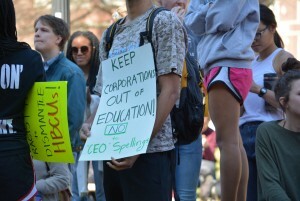 “Spellings claims to value public education, but her actions and her words say otherwise,” one protester said. 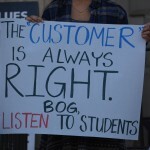 “College students are not customers. 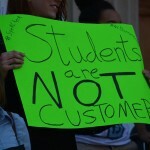 This University System is not a business. 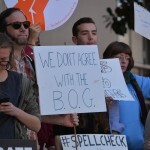 Another speaker took aim at the process that began with the firing of President emeritus Tom Ross and led to the hiring of Spellings. 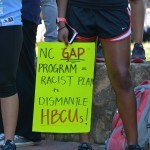 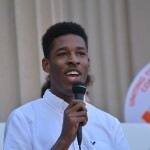 Other speakers spoke about the “attack” on the Historically Black Colleges and Universities across the UNC System and Spellings’ record of funding HBCUs during her time as Education Secretary and her criticism of PBS in 2005 for spending public money on a cartoon with lesbian characters. 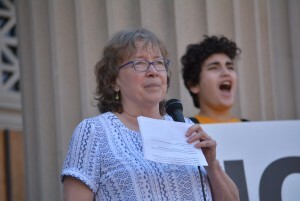 UNC Geography professor Altha Cravey. 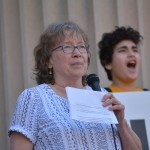 Photo via Blake Hodge. 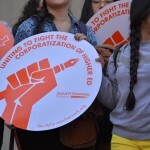 The contract in place that will pay Spellings $775,000 per year – $175,000 more than Ross made while president – also drew criticism from the crowd in a year that state employees received a one-time $750 bonus but no raise. 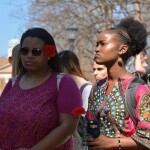 The first Board of Governors meeting with Margaret Spellings as president is scheduled for Friday at Fayetteville State University. 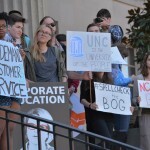 UNC students and faculty protesting Margaret Spellings. 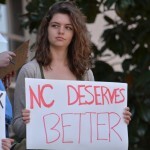 Photo via Blake Hodge. 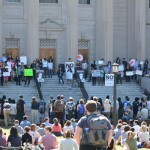 Protesters gathered in front of Wilson Library at UNC. 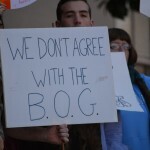 Photo via Blake Hodge. 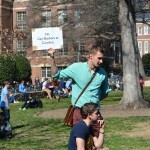 UNC Protest. 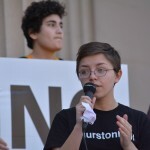 Photo via Blake Hodge.